Does your organization sell eLearning courses online? LearnUpon is an eCommerce LMS, so, it’s easier than you think! In this post, we run through all the information you need to set up a Storefront and start selling courses today. Follow the steps below to set-up, brand and configure your eLearning Storefront. Each step is logical and easy to complete. You can preview your Storefront after every change to make sure you’re on the right track. Ok, so let’s start with the Storefront appearance. You’ll want to make sure your Storefront looks the part. Just like the learner’s dashboard, the Storefront can be customized to match your brand. Here’s how you can create an impressive Storefront! First, choose your brand colors. 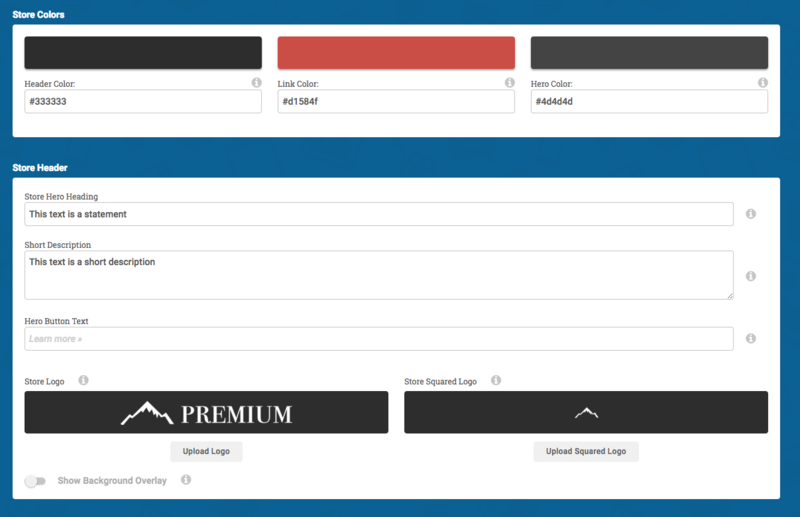 You can add a header color which is applied to the header and footer area of the Storefront. A link color for all active links, tabs and the ‘add to cart’ button. And a hero color for the background of the hero area. In the header area fill out the text fields including a description of the store and add your logos. 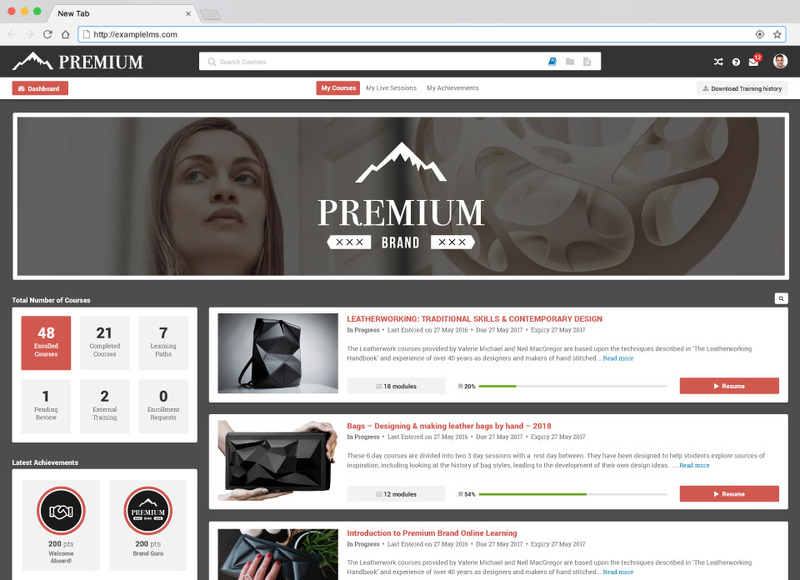 Upload a store logo that sits in the header area and a square logo for mobile devices. On a smaller device, the square logo is shown so as not to take up too much space! Change the layout of the course cards in your store. There are two options. Choose either two cards per row, or one. A hero image is: ‘a large web banner image, prominently placed on a web page, generally in the front and center. The hero image is often the first visual a visitor encounters on the site; it presents an overview of the site's most important content.’ For your Storefront add a large hero image,1400 x 520 pixels is perfect. It will be centered on screens and a dark overlay will be placed on it. This helps with contrast, so the text is easy to read and looks professional. If you feel like taking one step further to impress your potential customers, you can add a video to this section by adding a Vimeo or YouTube URL. A great idea is to add a personalized welcome or even a sample of your course content. Lastly, add some text to the about sections and add information on your terms and conditions. Your Storefront is now fully branded! On the general page of the eCommerce settings, you’ll find lots of toggle switches that allow you to configure how your storefront works. By enabling this option your customers will be able to purchase courses on behalf of other learners and in bulk quantities. For example, the purchaser will be able to specify a list of learners (e.g. 20 new learners, names/emails as yet unknown) or list specific email addresses during the purchase. Doing so will issue codes to be used by the learners. When they use the codes they are automatically enrolled! LearnUpon’s eCommerce functionality supports USD, CAD, AUD, GBP or EUR payments. Choose the currency that you want payments to be made in. This allows you to sell a 'bundle' of courses together as one product in your store. This is a great way to incentivize the purchase of a group of courses. You could, for example, bundle together a number of courses for less than they would cost if purchased individually. If you have an external store, you can enter the URL of that external store in here. Once enabled, when a user tries to visit this portal's store homepage, we will direct them to the custom store URL that you have entered instead. You can ensure maximum visibility for your courses with LearnUpon’s built-in SEO features and Google Analytics integration. Add your Google Analytics account, snippets, and keywords. Adding your social network information is a great way to communicate with, and engage, your customers. You can add your Twitter feed to the Storefront along with Facebook and Linkedin pages. These gateways handle all payment processing. Once a payment has been made LearnUpon will create the user or enrollment automatically without any need for manual work. You can create discount coupons that can be redeemed for all courses in your eCommerce store. If you want to make a coupon for a specific course in your store, you can control that in the course's sales options. Remember, you can edit or disable coupons at any time if needed! Simply select your country of residence for your store and add your applicable tax rates! Once your Storefront is branded and configured you can begin to fill it with courses, learning paths bundles and live sessions. Any published course can be made available for sale on your Storefront. To add a course to your store, go to the "Courses" page and choose the course you want to make available for sale. If you click on the title of the course this will bring you through to the course "Info" options, where you can choose the "Sales" options. Add your price and any categories you would like to assign to your course. When you are ready, enable the "Course is sellable?" option. The course will now appear on your Storefront. You can come back to this page to track the sales performance of the course. Courses with live training sessions are sellable also. The sessions will appear on a calendar on your Storefront so that learners can attend face-to-face or webinar sessions as part of their learning experience. Integrating a webinar tool automates attendance registration and reporting. Now that you are open for business what will your customer’s journey look like? Once a learner finds the course, learning path or bundle that they wish to purchase, they simply add it to their basket and proceed to cart. They will also be given the option to ‘bulk purchase’ at this point. Prior to paying for the product, you can add a coupon code to discount the price. They simply type in the coupon code, apply it and the new, discounted price appears. Once payment has been made the purchaser will be sent a confirmation email and learners will receive email notifications of their enrolment. If they are new users they will be given access to the portal and can set up their profiles. These learners will be able to access the eCommerce Storefront from their LearnUpon portal giving them the opportunity to purchase more courses into the future. (Tip: Use the banners that appear on the learner dashboard in the LMS to promote new courses or bundles!) Any courses a learner has purchased appear on their dashboard, including live sessions they may be enrolled in. LearnUpon has a suite of reports that give you a whole host of detailed information on course enrollment, progress and completion. For those with a Storefront, there is a dedicated report called the Sales report. This report focuses on the amount of revenue generated through the sale of courses. It shows the total value of sales for a selection of courses over a defined period of time. The number is taken from the price you set for the course in your Storefront. This allows you to see which course is the most successful from a sales perspective and you can then feed that information into your eLearning strategy. Other benefits include granular information on discounts provided to your customers from coupon usage and granular data on your sales tax collections. These can be exported for your accounting department as needed. If you’d like to access real-time information about purchases and course completions you should consider using webhooks. Webhooks ‘ping’ information to other systems as they happen. If someone purchases a course you can be notified immediately on another system that you use such as Slack! This allows you to monitor activity more closely without any extra work. Adding a Storefront is easy and you can create one for each of your portals! For more information check out the eCommerce features page.